What is reduced radiation x-ray? X-rays are a form of energy that penetrates skin and other soft tissues to produce images of bones and other structures inside the body. X-rays are measured in millisieverts (mSvs). Different parts of the body absorb x-ray energy at different levels; for instance, the average chest x-ray exposes a person to about 0.1 mSv, while a spine x-ray results in an exposure of about 1.5 mSv. X-rays are also present in the environment, and each person absorbs about 3 mSvs every year as a result of this natural radiation. Reduced radiation x-rays use digital technology rather than film to gather images during the x-ray process. As a result, digital x-rays are able to use lower levels of radiation compared to traditional x-rays to obtain the same level of detail or more detail, making them a safer alternative relative to film x-rays and lowering the lifetime risk of x-ray exposure. 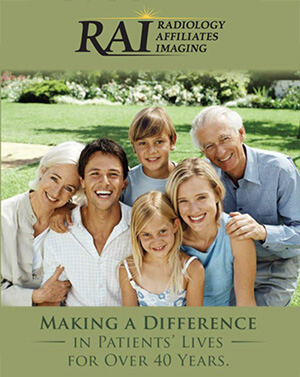 Plus, because the images are stored on computer and not film, digital x-rays can also be more readily shared with multiple healthcare providers as needed, and storage requires fewer resources compared to film x-rays. When are reduced radiation x-rays used? Reduced radiation x-rays may be used in the same applications as traditional x-rays. Specifically, digital x-rays can be used to diagnose pain or other symptoms or to evaluate treatment, especially for cases involving complicated healing or for chronic medical conditions. The decision to use digital x-rays compared to traditional x-ray techniques is made between the patient and the doctor who orders the x-rays. If you have concerns about the use of either type of imaging technique, you should discuss your concerns or preferences with your healthcare provider. What is the digital x-ray procedure like? Before your procedure, you'll need to remove any metal you're wearing, including jewelry, eyeglasses, hair barrettes, or clothing with metal closures or adornments. Depending upon the type of x-ray being made, you may need to change into a hospital gown. You may need to lie on an exam table or you may be able to sit up or stand during your x-ray – again, depending on the area being evaluated; x-raying the arm or hand can be performed while you're seated, and chest x-rays may be performed while you're standing, for instance. You may be asked to hold your breath or hold specific positions to ensure the clearest images are made and to obtain images from different angles. Some x-rays may also require the use of a contrast dye which is injected into your bloodstream to help some organs, tissues or processes to become visible on x-ray. The x-ray itself will take only a few moments. Once your x-rays are complete, you'll be able to return home and resume your normal activities.